ROME (CNS) — After years in exile from the church they had called home for the past 95 years, the American Catholic community in Rome moved to a new church they can finally call their own. Located just a few steps away from the U.S. Embassy to Italy, St. Patrick’s Church is the new official “mission for the care of souls for U.S. faithful residing in Rome,” said Paulist Father Greg Apparcel, rector of St. Patrick’s. U.S. Catholics in Rome, guided by the Paulist Fathers, had called the Church of Santa Susanna their parish since 1922. But the cloistered Cistercian nuns, who have had a presence at the historic parish since 1587, found the American presence distracting and made various attempts over the years to evict them. While there was no dispute regarding the ownership of Santa Susanna, the pastoral responsibility of the church had belonged to the Paulist priests for decades. In 2012, however, tensions rose when several large signs were placed in the church that stated the Cistercians owned the church. Father Apparcel told CNS that he appealed to Cardinal Pietro Parolin, Vatican secretary of state, who in turn asked Pope Francis to intervene in the matter and allow the American community to return to the parish. “They have been incredibly generous and hospitable to us. No question about it,” the Paulist priest told CNS. While the disagreement with the Cistercian nuns at Santa Susanna left relations at times strained, Father Apparcel said there are no hard feelings between the two communities. 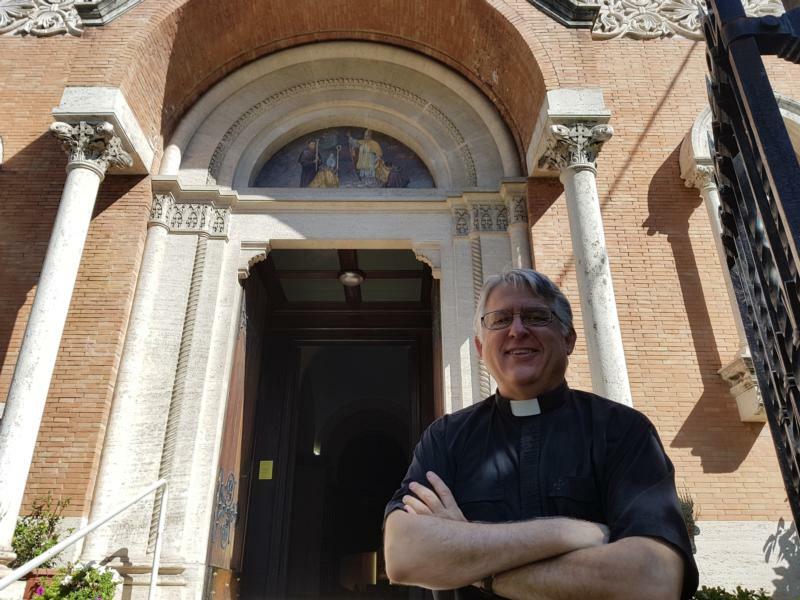 The nearly 400 families that make up the American parish in Rome, Father Apparcel added, are also “relieved” that they finally have their own church rather than attending in Mass in different parishes. Despite the odds, Father Apparcel cared for the spiritual needs for the flock during that five-year period, often racing from one parish to another to celebrate Mass in English while Santa Susanna remained closed to the American community.